Two years after the launch of the Accessible India campaign pressing for inclusion in public spaces by the Government of India, only 3% of the public spaces that were audited were found to be friendly for persons with disabilities (PwDs). Persons with disabilities face several difficulties with regard to lack of ramps, lack of restroom facilities, lack of signage and announcements to aid navigation and hostile design. Chennai was one of the 57 cities that participated in the audit, where facilities were found to be sorely lacking. While public buildings were the subject of the official audit, citizens have long campaigned for friendly spaces across the city that would allow persons with disabilities to lead normal lives. Recently, IPS officer V Balakrishnan had highlighted the issue of lack of inclusivity in malls in the city. Citizen Matters reached out to various malls in the city to find out what facilities were on offer and how these spaces could be made more inclusive. Mall culture has grown in a big way over the past two decades in Chennai. New malls have sprung up and are taking over from the iconic Spencer Plaza to provide an avenue for shopping and entertainment for many in the city. Apart from offering shopping options for clothing, footwear, toys, appliances and household needs, malls have also become hotspots for entertainment. Most malls in the city are known to host a variety of entertainment shows and concerts over the weekend and double up as venues that host a packed audience. Weekends and the festive season are times when malls draw major crowds. Given the increasing significance of malls as a source of entertainment and relaxation for people in the city, it is imperative to ensure that these spaces are inclusive and welcoming for persons with disabilities, so that the latter too can lead a life as close to the mainstream as possible. “We have all the facilities that will help people with disabilities when they visit the mall. The help desk provides necessary information,” said the safety manager of Express Avenue mall. Express Avenue mall is one of the larger ones in the city. The mall has eight ramps for its many entrances that allow access to persons with disabilities. The parking facility has space earmarked in both the two-wheeler and four wheeler sections. Wheelchair facilities are available free of charge on request at the help desk. The mall, however, does not have separate elevators for persons with disabilities. The 20 elevators across the mall are shared by all. Restrooms for PwDs is marked with signage but one was found to be locked. Another was under maintenance and only one of the three designated was found to be functional. None of the signage, however, is tactile or in Braille. Trial rooms in most shops are also too small to be wheelchair friendly. 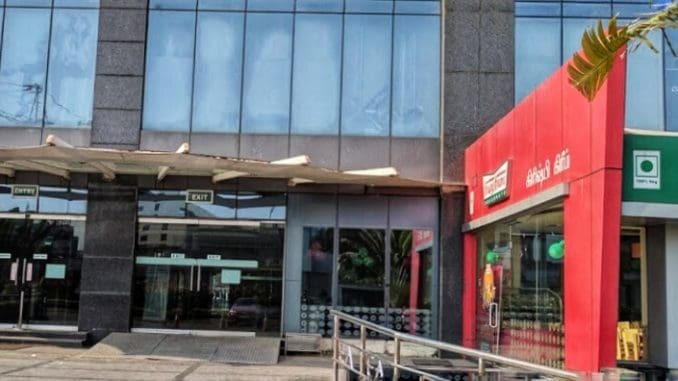 Citi Center, another mall frequented by many in Chennai also had similar facilities in place: it had two ramps, one at the front entrance and one at the back. 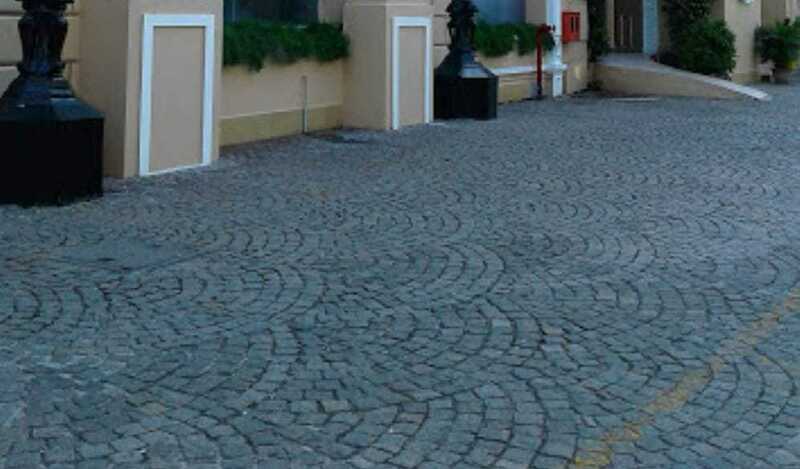 However, the cobbled flooring around the mall could prove to be a hindrance for PwDs. Wheelchair facilities have been made available on request at the help desk. Designated spots near the entrance for two wheelers and four wheelers are reserved for PwDs. However, once again, there is no elevator earmarked for persons with disabilities. There is also no tactile signage for visually impaired persons. A visit to a few clothing stores in the mall showed that trial rooms were not large enough to accommodate wheelchairs. Cobblestone pathway outside Citi Center is not friendly for PwDs. Ampa Skywalk mall is a sprawling space in Aminjikarai that sees heavy footfall. It has ramp access in place in two entrances. One slot for two-wheeler parking and three slots for car parking have been earmarked for PwDs. Designated restrooms are available on two floors. Wheelchairs are also available on request. There are four elevators but none designated for PwDs in particular. Signage too is not tactile. Trial rooms were not large enough to accommodate wheelchairs. 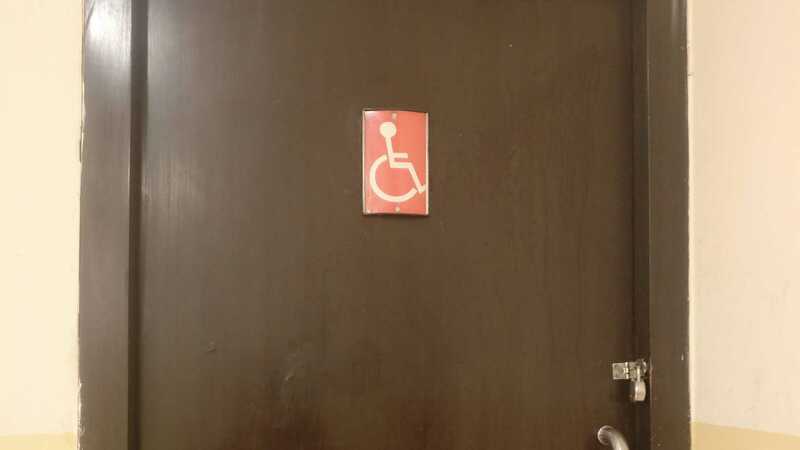 Restroom designated for PwDs but found locked at the Express Avenue Mall. Assistant Security Officer at Spencer Plaza listed some of the facilities available for PwDs. Ramps for access have been put in place for all three phases and the section that houses offices. Parking spots for PwDs have been designated close to the entrance. Wheelchair facilities are available on request at the entrance. Restrooms on the ground floor have been designated for PwDs. However, no elevators were earmarked for use by PwDs. Signage on display is also not friendly for the visually impaired. While representatives from Forum Vijaya Mall were unavailable for comment, the website of the mall provides information on facilities such as designated parking for PwDs, restroom facilities and wheelchair on request. The mall also has ramp access at the entrance. Elevators are not reserved for PwDs and there is no special signage for visually impaired persons. 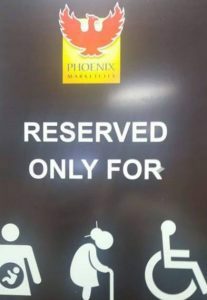 The largest mall in the city, Phoenix Market City, has designated parking spots for PwDs. Restrooms have also been designed to be disabled-friendly. There is wheelchair assistance on request. There are ramps at the entrance as well. The mall took action on being contacted by Mr V Balakrishnan IPS to assign an elevator exclusively for PwDs. “From personal experience, I saw that malls did not generally have facilities for PwDs, elderly and pregnant women. I contacted them with a request and Phoenix mall responded by allocating an elevator for PwDs,” said V Balakrishnan. Elevator reserved for PwDs, elderly and pregnant women. Pic: Facebook/V. Balakrishnan. In an overall analysis, therefore, it is seen that while malls fared well on elements such as the installation of ramps, they were found wanting on aspects of access such as large trial rooms, tactile signage and designated elevators that aid visitors with disabilities. Activists in the space point out that many components go into making spaces friendly for PwDs. Apart from access, the gamut of experiences within the mall also count towards making spaces less hostile. The sensitisation of frontline workers in the malls is a crucial aspect that does not get as much attention. Even issues such as heavy doors that require help in opening can be an impediment for an individual with a physical challenge. There is also no one-size-fits-all prescription for creating friendly spaces; the needs of a wheelchair user and that of someone on crutches will be different and the facilities available must cater to both. “Accessibility is not unidimensional. It is not just about having ramps or wheelchairs in place but the entire experience of going to a place,” says Shanthi Krishnamuthi, Regional Specialist, v-shesh, an impact enterprise working with persons with disabilities.